Up until recently, you had to buy a diesel truck to get 450 lb-ft of torque. However, with the implementation of turbocharged gas engines, Ford has found a way to reach diesel-level torque without the cost of a Super Duty or HD. The Ford F-150 tested for this review has a twin-turbocharged 3.5-liter EcoBoost V-6, making 375 horsepower and 470 lb-ft of torque—enough power to tow anything you desire. What makes the Ford F-150 ideal over other half-ton trucks is the insane amount of customization buyers can do to make the perfect truck for their needs. Heck, you can make an XL F-150 into a Lariat aside from the power and cooled seats. Our particular test F-150 was a well-equipped XLT F-150 SuperCrew with a 3.5-liter EcoBoost V-6 and 10-Speed automatic transmission. The drivetrain. This is the perfect combo engine and transmission for the half-ton pickup segment. Between 470 lb-ft of torque and a precise 10-speed, you always have enough power at a moment's notice. You'd think there may be some gear wandering with a 10-speed or lag from the twin-turbocharged V-6, but the Ford and Chevrolet collaboration on this transmission really stood up to the challenge and left me pleasantly surprised with the shift points and gear selection in all environments. Also, the 3.5-liter EcoBoost V-6 is an absolute rocket. The Ford F-150 starts at $27,110 and the XLT we had (which is only the second trim out of seven) cost a little over $52,000. Yes, you get a ton of truck for your buck, but that is a lot of bucks for the average buyer. This is an easily avoidable problem if you are willing to go basic, but the addition of luxuries like the 302A package toss $3,000 to $5,000 on in the blink of an eye. Most things, but especially driving that fine line between power and efficiency. We easily got 24 mpg on the highway. The 2.7-liter EcoBoost V-6 with the 6-speed automatic delivers comparable fuel efficiency but falls short in horsepower and torque by 50 hp and 95 lb-ft of torque (and it sounds like a leaf blower). But this might change for the 2018 model year, since the 10-speed is making its way over to the 2.7-liter EcoBoost V-6 after finding popularity with the 3.5-liter. We should expect around a 2 mpg overall improvement with the 2.7-liter EcoBoost V-6, since that is about how much the 3.5-liter EcoBoost improved when it branched away for the 6-speed. When using the truck to commute between Sunset Park, Brooklyn, and Yonkers, NY, we still achieved 19 mpg. For most people this may seem poor, but for a 1/2 ton truck in 1 hour and 45 minutes of traffic, it is nothing short of remarkable. Both EcoBoost engines are punchy, hitting 60 mph in less than 6 seconds—far quicker than the "mighty V-8." Still, the EcoBoost doesn't have that mighty, throaty sound. Hats off to whoever configured the F-150 interior. This particular 2017 F-150 XLT SuperCrew 4x4 had everything you needed and nothing more. The vinyl seats are resistant to spills and stains, and were easy to clean. The center console welcomed 30oz RTIC Tumblers, my notebook, several pairs of sunglasses (so cool) and an upsetting number of keys. The 302A package gives the truck heated 10-way power seats, LED box lighting, and several other luxuries we didn't necessarily need but really enjoyed. 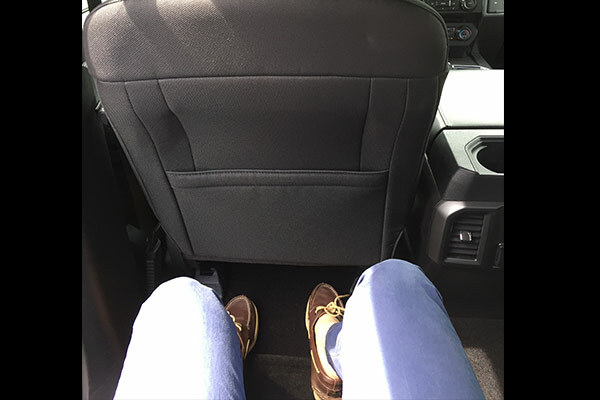 The rear seats held three fully-grown men and the Ford's SYNC navigation and infotainment system was a dream to use. Needless to say, the truck made daily driving a pleasure. As you can probably guess, the truck isn't bad at much—except the halogen headlights. Entry-level economy cars have LED headlights, so there is no justifiable reason a $52,000 truck shouldn't have the same. 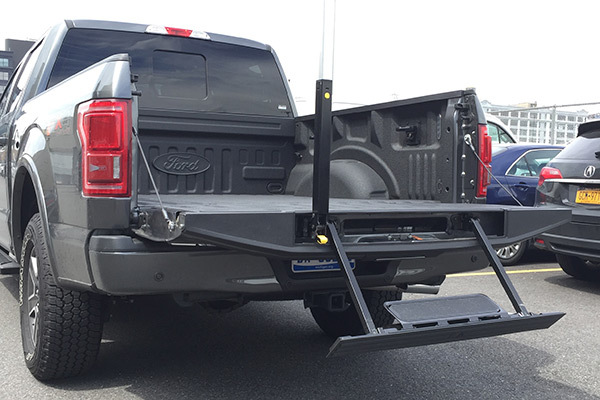 Also, the F-150 XLT could have used forward-facing proximity sensors. It's a big truck, and there's about a four or five foot blind spot directly in front, making it difficult to park for people who are smaller in stature or not familiar with the truck's dimensions. This problem is resolved when you step into the Lariat, but it should be a standard feature. If I had the money, I would buy this exact truck in a heartbeat. 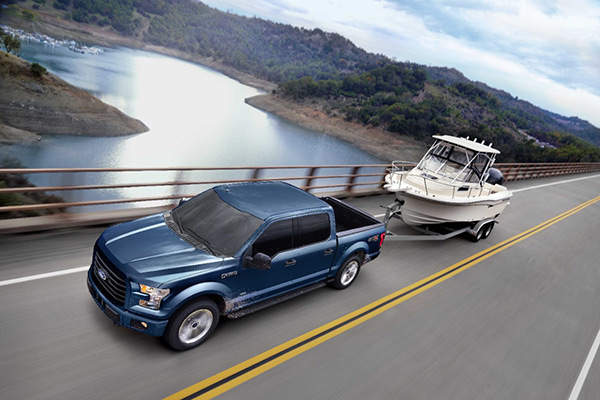 It has the balance between functionality, fun and economy (fuel efficiency, not cost) that most pickup buyers look for but eventually give up on during their search. The Ford F-150, the XLT in particular, has excellent resale value should I want to upgrade down the road. When comparing the naturally aspirated V-6, 2.7-liter EcoBoost V-6, 3.5-liter EcoBoost V-6, and 5.0-liter V-8, I would choose the 3.5-liter EcoBoost V-6, eight out of ten times. The other two times I would divert to the 2.7-liter for cost reasons. The 3.5-liter EcoBoost V-6 with the 10-speed automatic transmission is the most efficient and powerful engine available in the nation's top-selling half-ton so it's hard to justify any other engine if money isn't an option. 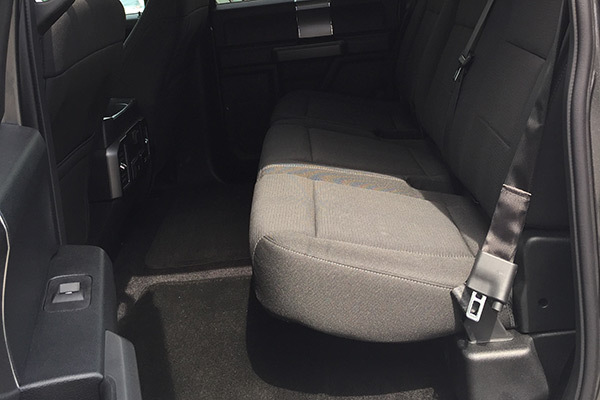 The interior of the truck was comfortable for a pickup and not overly plush that you fear wearing muddy jeans in it. The infotainment system was easy to use and the dash readouts allowed you to quickly scroll through your truck's diagnostics and performance without having an engineering degree. When getting to the general handling of the truck, I never found myself exiting the truck rolling in pain. The ride was smooth for a pickup, aside from the occasional hop on a bumpy turn. The steering was tight, the body-roll was minimal and the brakes never felt dull or strained. All-in-all, the F-150 has come a long was in ride comfortability and handling, securing its position as America's number one selling pickup. 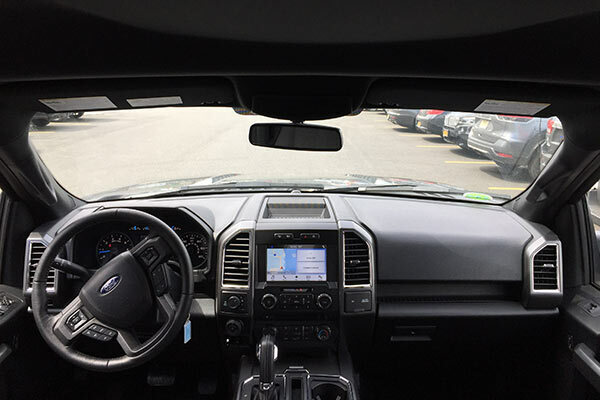 In order to get a better understanding for the Ford F-150 sales figures, I spoke with David M. Schaefer, Ford Sales Operations Manager for the New York Region and he had some enlightening sales figures to dish out. The Ford F-150 has been known to carry a 5.0-liter V-8 for some time now and most internet commenters howl at anyone not choosing the V-8 as their engine of choice. However, the V-8 is far from the most popular engine in the four engine lineup, in fact, it isn't even the second most popular. These percentages make it clear that the engine of choice is the EcoBoost (2.7-liter or 3.5-liter) over the aging 5.0-liter V-8. So although we are bound to get comments regarding someone's undying love for the V-8, America has already spoken. The V-8 is good for achieving that throaty exhaust note and linear power delivery, but beyond that, it is quickly becoming irrelevant. There are three real takeaways from the percentages above; the F-150 XLT blows every other trim out of the water in sales, the luxury trims amount to nearly negligible percentages and the Raptor sells damn well. Another interesting thing to point out is the number one selling vehicle in US households taking in $500,000 or more is the F-150. 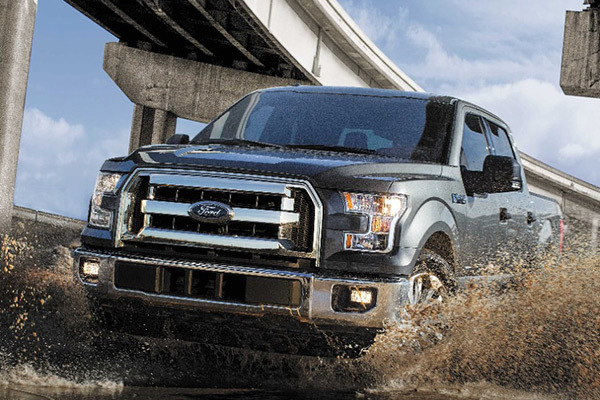 The various trims and looks of the F-150 has allowed Ford to brand the truck to be free of a socioeconomic status. To wrap things up, I enjoyed every moment driving the 2017 Ford F-150 XLT SuperCrew 4x4 and totally understand why it is the number one selling vehicle in America.